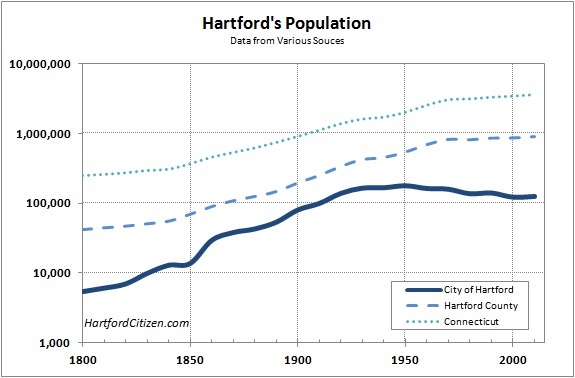 City of Hartford data is from the CT.gov website in the Secretary of the State section. The cells shaded pink, essentially 1880 and earlier, had figures that were in slight conflict with the numbers on Wikipedia, though the approximate magnitudes were the same. 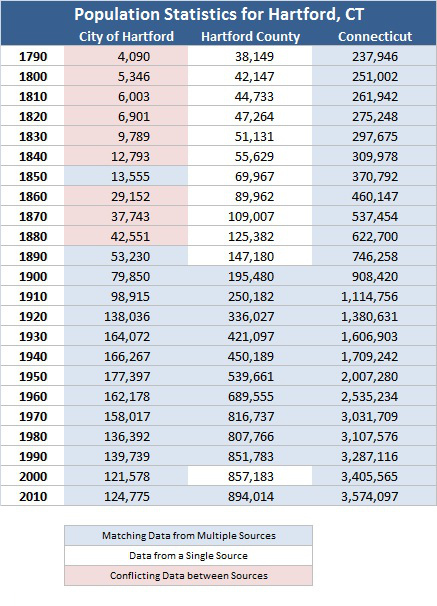 County data since 1900 is from the census.gov website, which matched the figures available on Wikipedia. Data from before 1900 has not been confirmed on either a State or Federal site, and comes directly from Wikipedia. 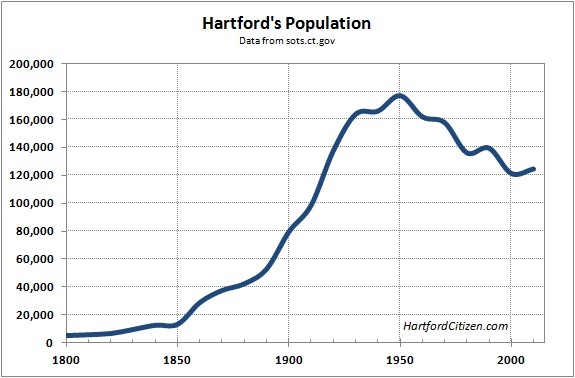 State data is from the CT.gov website in the Secretary of State section. The numbers were confirmed with the census.gov between 1900 and 1990, and also matched the Wikipedia numbers for the full date range.